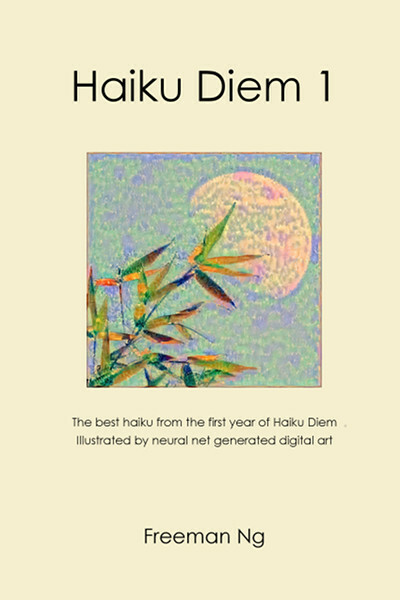 From July 9, 2010, through July 8, 2015, I posted one new haiku every day to the Haiku Diem Facebook, Twitter, Google+, blog, and email feeds. You can still receive a haiku every day, as well as new haiku from time to time, by subscribing to one or more of these feeds. I'm a former Google software engineer and the author of a novelization of the life of Joan of Arc, The Wineskin Project, a series of short read-aloud plays based on the Gospels that can be freely downloaded for use by churches, and a personalizable picture book. You can read more about all this and more at www.AuthorFreeman.com.